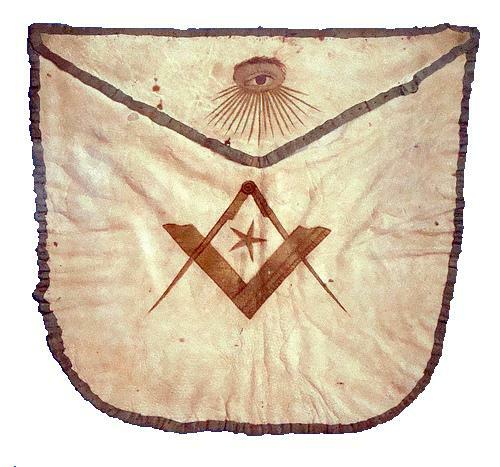 The Grand Lodge of Kansas is the governing body of Freemasonry in Kansas, formed March 17, 1856, nearly five years before Kansas statehood. Bleeding Kansas, the prelude to America’s Civil War, provided the backdrop to Kansas Freemasonry. In 1854, three Wyandot Indians and five white settlers – all of whom were Masons – coalesced in what is now Wyandotte County, Kansas, and petitioned the Grand Lodge of Missouri to establish a Lodge of Masons in a Wyandot Indian village. On August 4, 1854, the dispensation was granted, and one week later Kansas Lodge U.D. (eventually to become Wyandotte Lodge No. 3) opened for work. Within two years, two other lodges in Kansas were formed, and in 1856 the trio formed the Grand Lodge of Kansas as America’s Civil War loomed. Notably, the first master of Kansas Lodge U.D. was John Milton Chivington, a Methodist missionary to the Wyandot and a vocal opponent of slavery. Chivington left Kansas in 1860, became an officer in the Union army and was later celebrated as a hero for his part in the Battle of Glorieta Pass (1862). His orchestration of the Sand Creek Massacre (1864), however, earned him universal condemnation and ultimately made him infamous. The influence of Missouri Masonry in Kansas resulted in not a few curious situations. 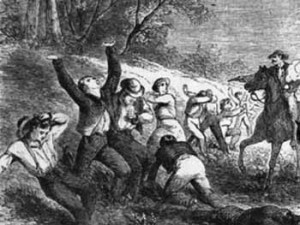 In the bloody 1850’s and the years of the Civil War, Kansas was continually torn by bitter strife [over slavery], members of the two factions hunting down and slaying each other. Yet, whenever enough Brethren, regardless of faction, could be found they eagerly stood their guns against the nearest tree and began the erection of a Masonic altar. Enemies by day, they met as Brothers at Night. – F. P. Strickland, Transactions, The American Lodge of Research, Vol. III, No. 3, p. 485. Famous Civil War Masons with ties to Kansas are Union General Dan Butterfield and Confederate General Lewis A. Armistead, both of whom were members of Union Lodge No. 7 in Junction City, Kansas. Other famous Kansas Masons include automotive giant Walter Chrysler (Apollo Lodge No. 297, Ellis, Kansas), Air Force General Henry H. “Hap” Arnold (Union Lodge No. 7), Army General Jonathan M. Wainwright (Union Lodge No. 7), noted psychiatrist Karl A. Menninger (Topeka Lodge No. 17), and former U.S. Senator and Majority Leader Bob Dole (Russell Lodge No. 177, Russell, Kansas). Kansas Freemasonry, while conscious of its past, is firmly grounded in the present, boasting 23,500 Kansas Masons and 242 lodges. A leading contributor in the fight against cancer, the Grand Lodge of Kansas also supports numerous worthwhile charitable endeavors including a popular and successful child identification program. In looking to the future, Kansas Masons continue to quietly work for the betterment of their communities. References: Albert G. Mackey, Encyclopedia of Freemasonry, Vol. 3, 1909. Please feel free to call, write or e-mail us at any time. We are here to help with your questions and concerns.